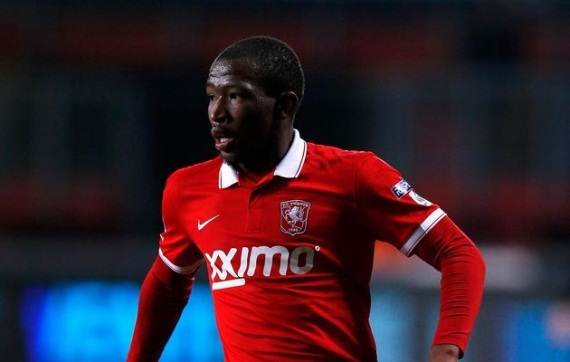 Brentford reportedly face competition for the signature of Bafana Bafana and FC Twente midfielder Kamohelo Mokotjo. Mokotjo, 24, is believed to be in talks with the English Championship side. Mokotjo’s agent Karel Jansen, however, is quoted as saying his client has other options. “There is more interest in him than just Brentford ,” Jansen said. “Now he will have to weigh [his options].” Mokotjo penned a four-year deal with Twente in August, 2014 from PEC Zwolle. Former Kaizer Chiefs striker Stanton Lewis has not given up on making a return to professional football despite his persistent struggles with injury. Lewis, who last featured for Chippa United in 2013, is currently undergoing rehabilitation for a torn anterior cruciate ligament in his knee. The 27-year-old was once on the books of Ajax Amsterdam, and has also had stints at Ajax Cape Town, AmaZulu and Golden Arrows following his return to South Africa from Holland in 2009. "I won't retire from football and I'm doing physiotherapy with AmaZulu and maybe if I do recover, you never know, I may go back," Lewis said. "When I went to see the doctor back then, they cut the hamstring out completely and they had to start it over again so it can be reconstructed. To tell you I'm not sure when I will return back to football but I won't retire. As of now I'm at home and just got married to my lovely wife last week and that was a very good thing for me and you can see my five-year-old boy. Having said, it has been tough for me with injuries in the past. When I was in Holland, I tore the hamstring once and when I came back in the country I tore it three times but I kept my head held high." South Africa coach Ephraim Mashaba says some of his players impressed in training but failed to deliver in Saturday's goalless draw with Gambia in Durban. Bafana Bafana were held at home by the Scorpions in their first qualifier for the 2017 Africa Cup of Nations. Cameroon on Sunday took control of Group M with a 1-0 victory over Mauritania. "Those who were in the training session, they will understand what we are talking about. You know players sometimes can deceive you," says Mashaba. "You look at them at training and thought the game that is coming, we are going to win 10-0 but when you get to the game, they freeze and you don't see much of them." Mashaba also expressed concern at Bafana's slide down the Fifa rankings from 59 to 69 in the past month. "We are worried and it is a very serious and critical thing, and that's why we have to look at all the economics," he says. "We had a Cosafa Cup and how many drops did we get? People may not look at it, it affects us. The draw comes... teams will be seeded because of those rankings, so it's going to be critical for us to make sure we try to go up in the rankings." Bafana, who exited the Cosafa Cup at the first hurdle in May, next host Angola in a friendly at Cape Town Stadium on Tuesday. Mashaba's men will resume their Nations Cup qualifying campaign against Mauritania on the first weekend of September. Keagan Dolly is adamant he will see game-time at Mamelodi Sundowns and believes working with Pitso Mosimane will take his game to the next level. The Westbury-born attacker, who returns to the Brazilians after a season-long loan at Ajax Cape Town, is excited with the prospect of rubbing shoulders with an array of big-name players at Chloorkop. "I'm actually excited to be coming up [at training] against the likes of Khama Billiat and all the big names ... Teko Modise,” he says. “I think it's going to help me as a player and also help me improve my game. I'm looking forward to playing under coach Pitso.” Dolly adds: "I've been hearing this for the past season now that I’m not going to play at Sundowns, but I believe it's up to the player how much he wants it. If I work hard enough, what's going to stop me?" Dolly played for the national Under-23s, scoring in the 2-1 win against Egypt at Sugar Ray Xulu Stadium on Friday. Kaizer Chiefs report that defensive duo Morgan Gould and Mulomowandau Mathoho are making good progress from their respective injuries. Gould tore his Achilles tendon against Raja Casablanca in the CAF Champions League. “The defender is at present working out five days a week on a specialised treadmill, using 50 percent of his body weight. He will probably be back to full action in September,” the club’s website reports. Mathoho broke his toe against Chippa United towards the end of the season and as a result has missed out on Bafana Bafana duty. Chiefs report that ‘Tower’ “will miss the start of pre-season, but he’s expected to have fully recovered by the time the 2015/2016 Absa Premiership commences”. Mpumalanga Black Aces have signed goalkeeper Shu-Aib Walters on a two-year deal from Maritzburg United. The 33-year-old will switch clubs on July 1 when his contract with United expires. Walters faces competition for the number one jersey at Aces from South Africa international Jackson Mabokgwane and Bafana Nhlapo. “I enjoyed my stay in Maritzburg but am looking for a new challenge and being part of Black Aces is very exciting,” said Walters on AmaZayoni's website. “I'm officially under contract with United until the end of June and the team only returns to pre-season on Monday 15th June and we will try and negotiate something that’s gets me to Aces as soon as possible.” The Cape Town-born keeper made just seven starts in the league in 2014/15 as coach Steve Komphela preferred Namibian Virgil Vries in goal. Walters spent five years with the Team of Choice. South Africa under-23 coach Owen Da Gama has praised his team for sticking to the game plan in their 2-1 win over Egypt on Friday evening. The national under-23 side faced Egypt in an international friendly at the Sugar Ray Xulu stadium, to prepare themselves for the upcoming Olympic qualifier against Zimbabwe. Da Gama's young men did well to come from behind to beat their North African opponents, thanks to second half goals from Keagan Dolly and Menzi Masuku. Da Gama has since praised his players tactical discipline against a bigger, more physical Egyptian team, and says they stuck to the game plan. "What a performance from the boys it was just a matter of getting the combinations right, and playing to their strengths," said the Bafana Bafana assistant coach. "We always knew that the Egyptians were going to be bigger, stronger, but our mobility that we spoke about was evident." Da Gama also pointed out that, though Egypt have been together for longer, his team came together despite being a relatively new unit. "Looking at Egypt, they've played seven friendlies already [as a team], and we've only played one with this team. So I'm really proud of these boys, I think they can only get better and better [going forward]," he added. Bloemfontein Celtic have announced the triple signing of Moroka Swallows pair Vuyisile Wana and Lantshene Phalane, as well as Free State Stars striker Camaldine Abraw. Both Dube Birds players have put pen to paper on three-year deals with Phunya Sele Sele as they continue to strengthen ahead of the 2016/16 season. Celtic's website states: 'Phalane has showed prowess with his meticulous style of play as a modern defensive midfielder of note who capable of defending and distributing spotlessly. Wana’s ferocious runs complimented with wonderful goalscoring ability were recently rewarded with a national call-up and clearly Celtic has signed two experienced players that will add value.' Celtic chairman Max Tshabalala adds: "We are absolutely delighted to announce the purchasing of such great talent and this distinctively shows our intentions to build a sound and prosperous combination. The technical team has identified missing links from our current squad and immediately made recommendations. Our increasingly ardent supporters have always wanted us to retain the top players and to sign top-quality players. 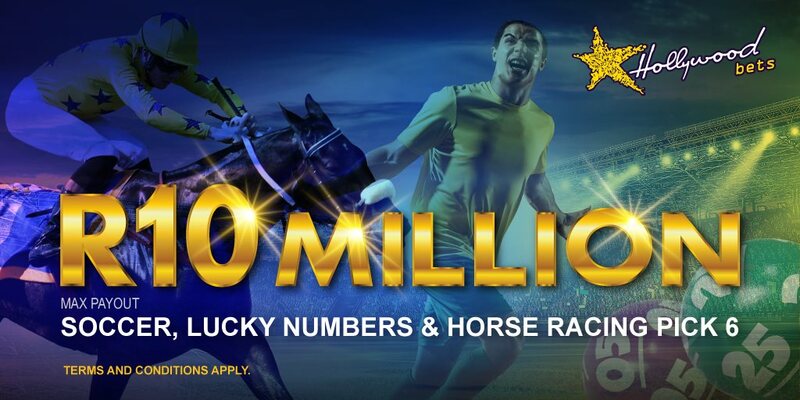 We are on a mission to build a winning team and to reward our loyal supporters." On the signing of Abraw, Tshabalala confirms: "We are completely baffled by the alleged interest in Abraw by [Kaizer] Chiefs. After being identified by our technical team as one of the players to be signed for this season [2015/16], he was approached and subsequent to that we made an offer that he accepted and signed at our offices. As far as we know, Abraw he will be flying back into the country when he is done with his international duties. The team is ready to compete and with players like Abraw we will be able to challenge for silverware." Celtic have also recently announced the acquisitions of Thabang Matuka from Maritzburg United and Geofrey Massa from Universty of Pretoria. Moroka Swallows midfielder Mthokozisi Yende will not be staying on at the club next season. Yende joined the team in December last year but started just two games as the club was relegated from the topflight for their first time in its history. 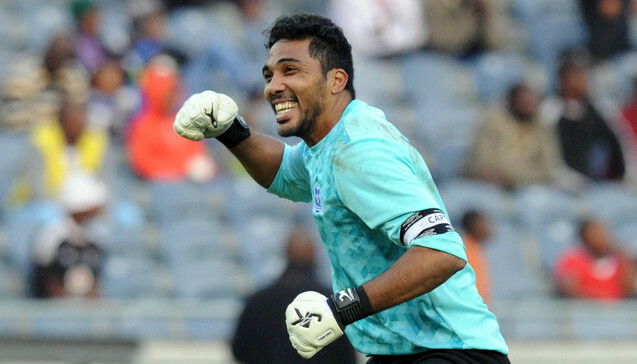 The 30-year-old is amongst the cast of players that club boss Leon Prins has indicated that he will not be keeping. Yende has spent the past four years at four different sides. They are Kaizer Chiefs, Maritzburg United, Free State Stars and Swallows. University of Pretoria have signed Kabelo Lichaba from Polokwane City. The defender was signed on a free transfer as his contract with City was due to expire at the end of June. Lichaba becomes the second defender from Rise and Shine to sign for AmaTuks in the past few months after the Tshwane side also recruited Vukile Mngqibisa on a pre-contract in December. Platinum Stars, Bloemfontein Celtic and Mpumalanga Black Aces, as well as top Botswana outfit Township Rollers, will clash in the Bokone Bophirima Maize Triangle Challenge on July 11 in the North West. All matches will be played at Moruleng Stadium, with the teams paired into semi-finals and the winners advancing to the final. A draw was held in the North West Province which saw Stars hosting Township Rollers in the first semi-final at 10h00 in a clash between two teams who know plenty about each other. The close proximity of the teams means there has been plenty of friendly action in this fixture before, while Stars also signed Mogakolodi Ngele and current goalkeeper Kabelo Dambe from Rollers in the past. Celtic take on Aces in the second semi-final at 12h00 guarding an unbeaten record against AmaZayoni in competitive matches. Celtic have won five and drawn three of their previous eight games against Aces, with the latter eager to record what would be a morale-boosting win ahead of the 2015/16 season. The final will take place at 16h00. Tickets go on sale on June 17 and will be available at Computicket at R40 for adults and R20 for children. Shaun Bartlett's former assistant at Golden Arrows Bheka Phakathi has joined Royal Eagles' coaching staff. Phakathi helped head coach Bartlett steer Arrows to NFD honours last season and consequently promotion to the Absa Premiership. However, Phakathi has now switched alliances after many years of service to Abafana Bes'thende. "Yes, I have signed for Royal Eagles and it is a two-year deal," Phakathi said. "Of course it was not an easy decision after many years at Arrows and I am thankful for the opportunity they gave me and I will serve Arrows with my heart. Having said that, the offer they gave me at Eagles was very good and it was good for my family because what I will be getting at Eagles is way better than what I was getting at Arrows. At some point we have to go for incentives since I have a family to look after." Bartlett has admitted he still remains in the dark over his future at Arrows, with his contract set to expire in two weeks. Milano United have backed their former midfielder Nazier Jacobs to make an impact at his new club Polokwane City. The 24-year-old has signed a three-year deal with Rise and Shine. Milano’s general manager Sean Ferrier believes Jacobs, who goes by the nickname Kaka after the Brazilian star, has what it takes to play a big role for the Limpopo side. “He’s a very good player and he will fit in very well at the club. It is his time to play in the PSL and as a club, we were not going to stand in his way,” Ferrier said. Anele Ngcongca has been named in Racing Genk’s Team of the Century. The Bafana Bafana right-back cracked the nod in a team selected by the respected Voetbalkrant, and is the only current player named. And he is in illustrious company, joining world stars like Thibaut Courtois, Didier Zokora and Kevin De Bruyne. AmaZulu insist that Steve Barker will stay on as head coach, despite their relegation from the Absa Premiership. Barker left his role at University of Pretoria in November to try and steer Usuthu clear of the drop-zone, but a 2-1 defeat at Maritzburg United on the final day condemned them to the First Division. There has been talk that AmaZulu could sack Barker, but club spokesman Philani Mabaso insists that is not the case. "He signed a two-and-a-half year contract with us, so he is staying with us next season,” Mabaso said. Barker faces a tough ask getting the club back into the top-flight, with the futures of star players like OJ Mabizela and Marc van Heerden up in the air. Maritzburg United will not be retaining striker Terrence Mandaza and midfielder Thokozani Sekotlong for next season. Mandaza’s deal is not being renewed despite a fairly productive season in which he scored four league goals in the nine games that he started. 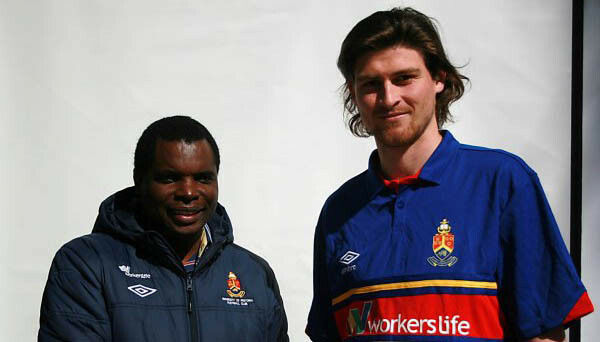 The Zimbabwean spent the past three years with the Team of Choice following a two-year spell with Platinum Stars. Sekotlong netted once in the 11 matches he started in 2014/15. The 24-year-old has been with the club for the past two years after arriving from University of Pretoria. Tottenham Hotspur have released South African centre-back Bongani Khumalo without kicking a ball for the club in five seasons. The former SuperSport United defender joined Spurs as a three-time Absa Premiership champion at the start of the 2010/11 campaign and was loaned out to Preston North End, Reading, PAOK, Doncaster Rovers and Colchester United over five years. Khumalo did make the Spurs bench on a handful of occasions but was never brought on. He was restricted to playing as an overage player for their Under-21 side, with his most notable moment keeping Radamel Falcao quiet in one of those games. The 28-year-old skippered Bafana Bafana during Gordon Igesund's tenure as national team coach and could be seen as a valuable addition to any PSL club now that he is a free agent. Having had no New Zealanders playing in the Absa Premiership at the start of 2014/15, we will now have at least three when the new season rolls around. University of Pretoria have announced the signing of holding midfielder Harry Edge, having spotted him during the team’s Multichoice Diski Challenge tour of the Netherlands, where he played for PEC Zwolle. The 21-year-old will now join the team when pre-season training starts on June 22, and is seen as a replacement for Mpho Matsi, who has joined Mpumalanga Black Aces. "When we played against Zwolle in Holland I liked his athleticism and the fact that he plays forward all the time; he plays centre mid but can also slot in at central defence,” chief scout Paul Mathews told AmaTuks’ official site. “At Tuks we are very good defensively, but we need to keep the ball more and attack more and we thought he would be a natural replacement for Matsi. We hope this move will work out for us and he can slot right in and make Tuks the place for him to grow and achieve great things.” Countryman Jeremy Brockie took the PSL by storm in his first six months, scoring 10 goals for SuperSport United, where he has been joined by another Kiwi in Michael Boxall. Fifa secretary general Jerome Valcke has defended the payment of South Africa's alleged $10-million bribe to Jack Warner in exchange for votes towards 2010 World Cup hosting rights. The South African government has repeatedly insisted that the payment to Concacaf – which specifically instructed that former Fifa vice-president Warner should be the fiduciary – was an "above-board" payment for the African Diaspora Legacy Programme. Letters emerged in the media proving Valcke's knowledge of the payment, despite Fifa's denial that their secretary general was involved and that it was authorised by the chairman of the finance committee, the late Julio Grondona. But Valcke was involved, and he has now defended Fifa's handling of the $10-million payment to a Caribbean Football Union account controlled by Warner. Warner's deputy at the time, Chuck Blazer, has pleaded guilty in court to having taken some of that money as a bribe to vote for South Africa to host the 2010 World Cup. 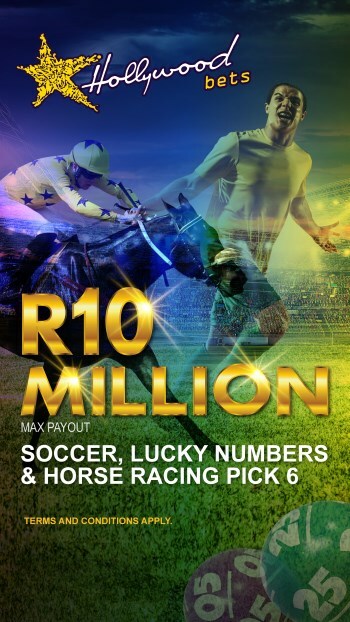 "It was not Fifa's money … it was a request from official South African authorities and Safa. As long as it is in line with rules, we do it," Valcke said at a news conference with Russian organisers of the 2018 World Cup. "I don't understand what's the problem and why I am such a target in this question. You [the media] have decided that after [Sepp] Blatter [who has resigned] I am the head to be cut, fine, but don't say it is because of this 10 million dollars. I have never been questioned [in the US investigation] and the Swiss police has all the files, and I am happy to answer any question as transparently as I can. I am signing contracts every day … everything has the signature of the secretary general. [But] it's not because I am signing everything that I am responsible for the way people are acting all around the world. Ajax Cape Town, SuperSport United, Crystal Palace and Sporting Lisbon will compete in the inaugural Cape Town Cup at Cape Town Stadium next month. SuperSport will open the pre-season spectacle against English side Palace at 17h45 on July 24. Ajax will face Portuguese outfit Sporting at 20h15 on the same night. The two losers will meet at 13h00 on July 26, with Friday's victors contesting the Final at 15h30. Tickets go on sale on June 21 at Computicket, ranging from R200 to R400 for a double-header. AmaZulu winger Philani Shange has parted ways with the club following unspecified disagreements between the two parties. Shange only joined Usuthu at the beginning of the past season and after going down with a second of his hometown clubs for a second year running, he has left the club. “I spoke with the club and they have handed me my clearance,” Shange said without wanting to clarify why he chose to part ways after signing a three-year deal last year. “The reason why we have parted ways is a long story that I am not at liberty to talk about right now. Let us just say this has little to do with the relegation of the team. Right now my mind is on planning the way forward and I am grateful for how AmaZulu treated me while I was with them,” said Shange. The 30-year-old was a regular earlier on in the season but quickly fell out of favour when Steve Barker took over late last year, ending the season with 15 starts plus four substitute appearances in all competitions.He only made one substitute appearance in the last 14 league games. Fiston Abdul Razak has confirmed his transfer to Mamelodi Sundowns. The Burundian striker penned a three-year contract after a transfer fee in the region of R3-million was agreed with his club Sofapaka. The contract also states that Sofapaka will earn 20 percent should Sundowns sell him to another team.